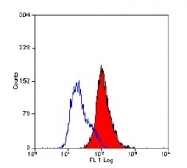 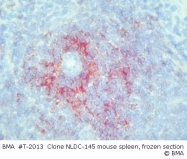 Mouse Spleen Frozen Section stained with Biotin conjugated CD205 / DEC-205 Antibody Cat.-No BM4017B (Clone NLDC-145). 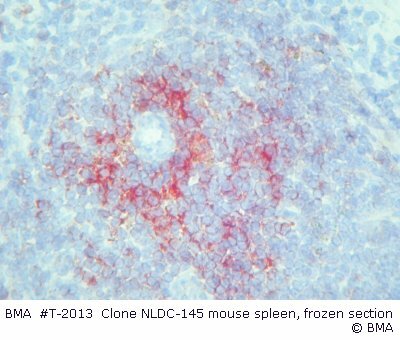 Mouse Spleen Frozen Section stained with BM4017 CD205 Antibody (Clone NLDC-145). 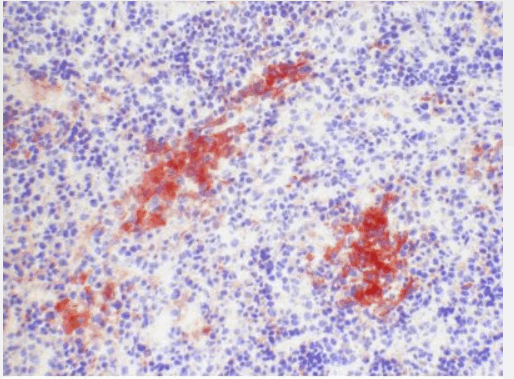 Staining of KM-H2 cells with MOUSE ANTI HUMAN CD205: FITC (SM2022F). 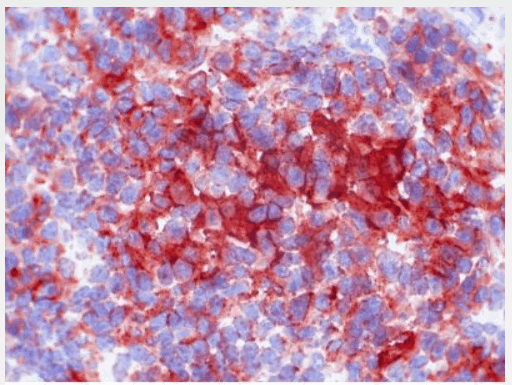 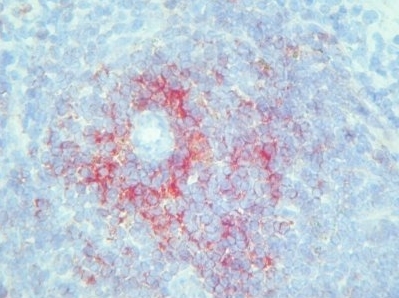 Staining of KM-H2 cells with MOUSE ANTI HUMAN CD205:RPE (SM2022R). 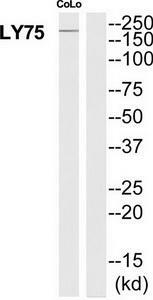 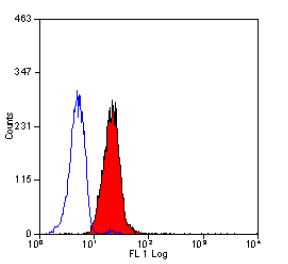 Western blot analysis of CD205 expression in MCF7 (A); SP2/0 (B); H9C2 (C); mouse lymph node (D) whole cell lysates. 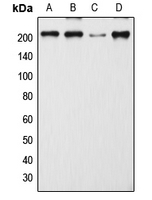 Western blot analysis of extracts from COLO205 cells, using LY75 antibody.The lane on the right is treated with the synthesized peptide. 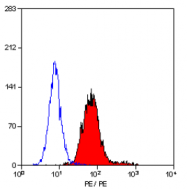 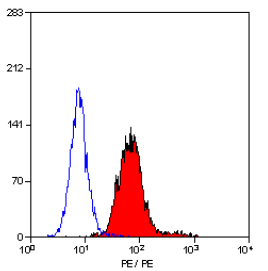 Staining of normal human peripheral blood cells (left) and mature dendritic cells (right) with Mouse IgG2b kappa Isotype Control Purified (open histogram) or 0.015 ug of Anti-Human CD205 Purified (filled histogram) followed by Anti-Mouse IgG Biotin and Streptavidin PE . 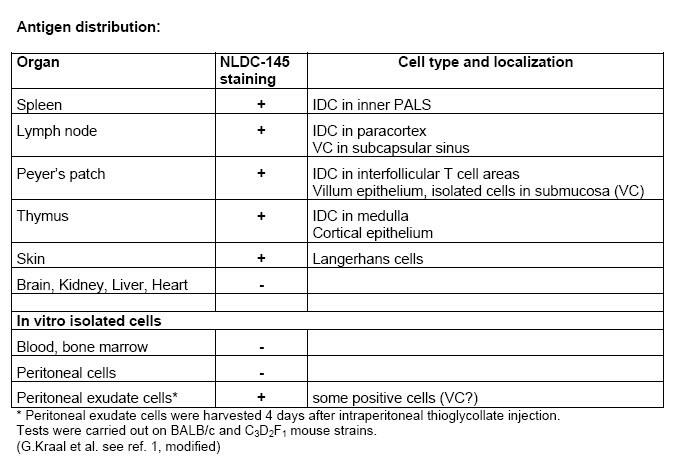 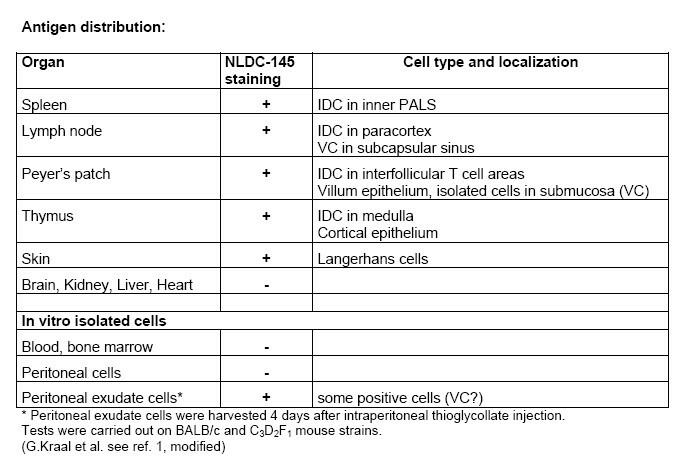 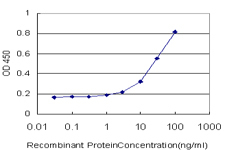 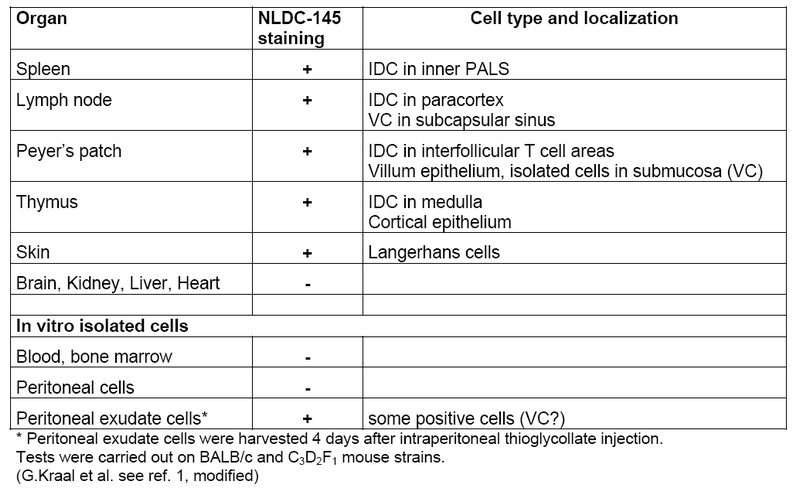 Total viable cells were used for analysis. 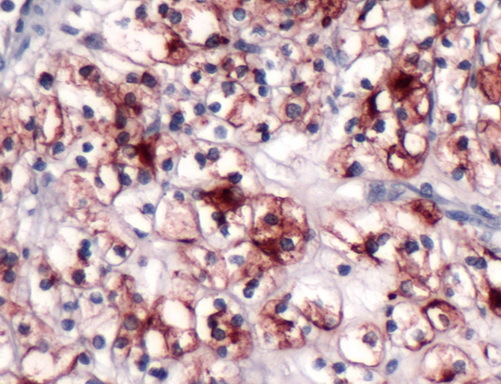 Human Renal Cell Carcinoma stained with anti-GP200 (Renal Cell Carcinoma Marker) antibody. 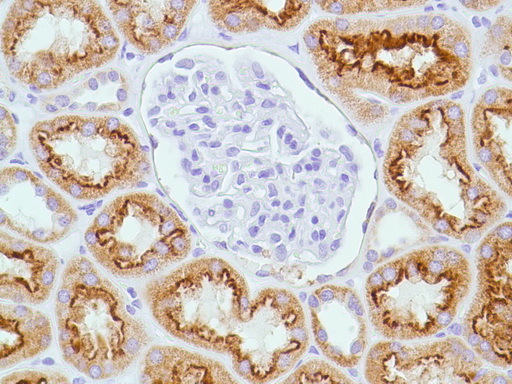 Human Kidney stained with anti-GP200 (Renal Cell Carcinoma Marker) antibody.